How Much Money Would It Take For You To Give Up Facebook? 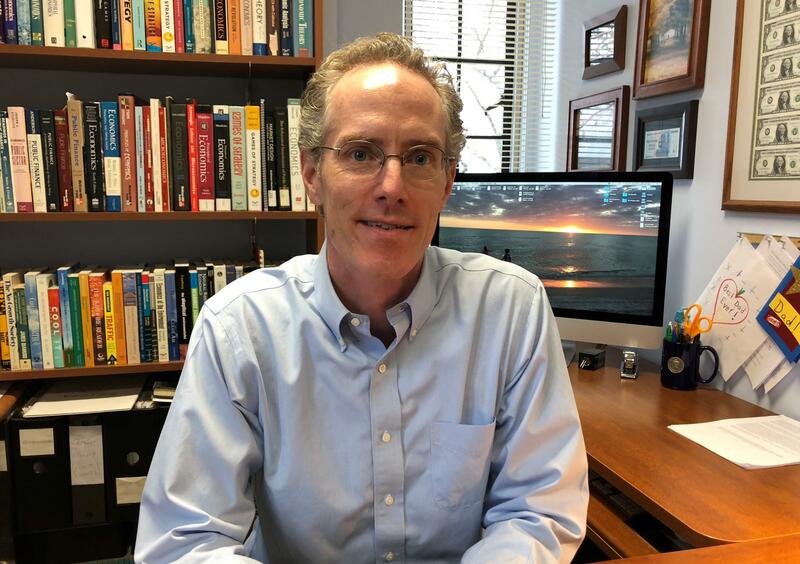 Kenyon College economics professor Jay Corrigan found in a recent study that, on average, Facebook users would need more than $1,000 to give it up for a year. How do you measure the value of something that’s free? It’s a challenge for economists who study the economic impact of the Internet revolution. In this week’s Exploradio, we look at research that puts a price on your network of virtual friends. How economists determine the value of free services. How much would someone need to pay you for you to stop using Facebook? That’s the question Kenyon College economics professor Jay Corrigan and his colleagues posed to several groups of Facebook users. Kenyon College professor Jay Corrigan's research looks at the value people place on new products. His recent study put a price on the free service Facebook. 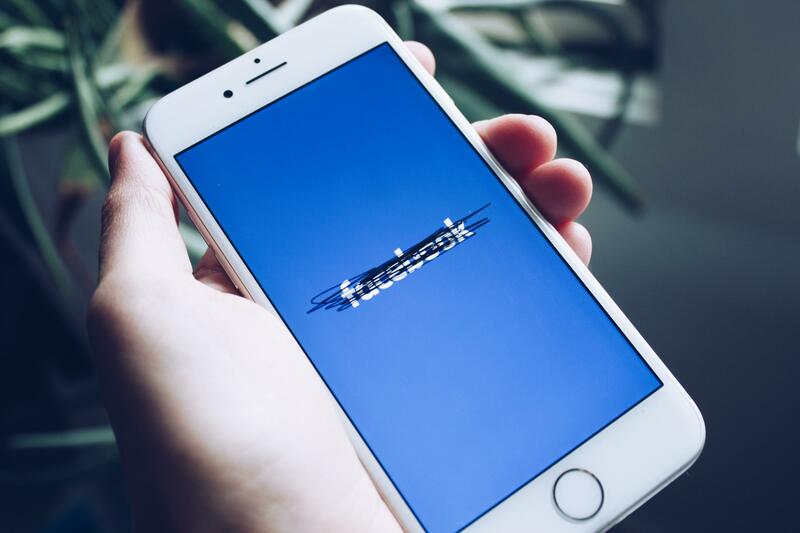 “We asked everybody to name the price that they would be willing to accept to give up Facebook for as little as a day, as much as a week, or even a year," says Corrigan. His group then actually paid the lowest bidders in a special auction to deactivate their Facebook account for the allotted time. Corrigan isn’t doing it because he hates the social platform. The experiment is a real-life measure of consumer surplus, defined as the difference between the most you’d be willing to pay for something, and what you actually pay for it. So, for example, if you paid eight dollars for a ten dollar bottle of shampoo because you had a coupon, the consumer surplus is two dollars. That means you win. And as an economist, of course he wanted to put a number on it. Corrigan and his colleagues held auctions at Kenyon College, in Lansing, Michigan, and with a nationwide group of Facebook users – around 2,000 people in all - to determine the true price point for giving up the service. They used a device called a second-price, sealed bid auction, or a type of Vickrey auction. Basically, the lowest bidder wins, but they get paid the next highest bid. Corrigan says it's a common tool for economists who are trying to put values on new products and new services. And he hopes that in using the technique, "people will simply tell us the truth," on what Facebook is worth to them. Anne Laing teaches yoga and dance. For her, like many entrepreneurs, Facebook is an essential business tool. 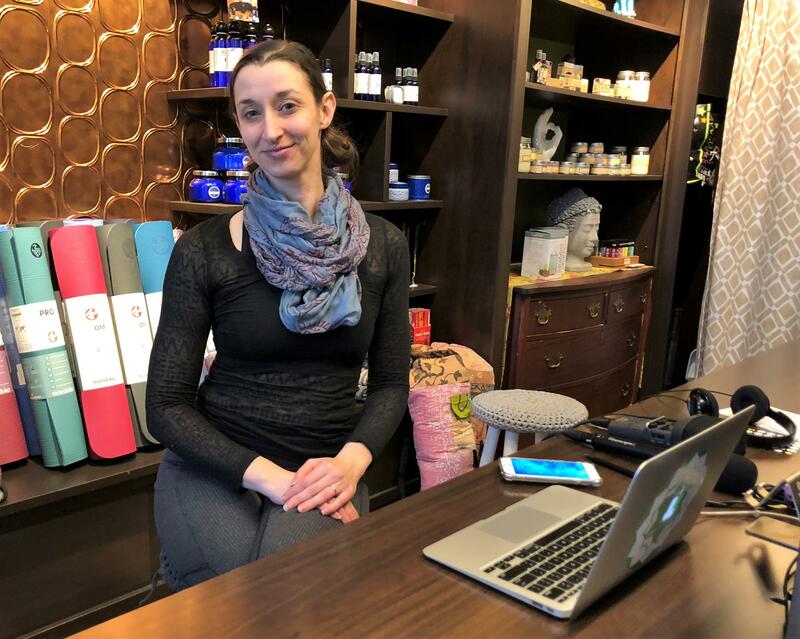 Laing uses Facebook to connect with students at a small yoga studio in Kent. Laing also works on commission as a dance teacher, and like a lot of people in the gig economy, says she couldn’t survive without a Facebook presence. Kenyon researcher Jay Corrigan found that people who use Facebook for its original purpose, posting family photos and keeping up with high school friends, don’t value it as much as people who use it for business. What this means for Corrigan is that despite scandals, Senate hearings, and a steep stock price plunge, Facebook still holds a lot of value for its 2.2 billion users. The thing is, Corrigan is not really that interested in social media. He’s interested in how a ‘free’ service contributes to the overall economy. Despite recent scandals and a steep drop in its stock price, Facebook is still enormously valuable to the majority of its users. What he’s found is that in the Internet age, improvements in our standard of living have actually slowed. Facebook, at $400 billion, is worth four times, say, Boeing Corporation, but only employs a fraction of the number of workers. Corrigan says the hundreds of billions of dollars of value from Facebook doesn’t show up in economic measures, like G.D.P., it doesn’t provide many jobs… it’s part of a different economic bargain. It's an exchange in which we are not the purchaser, we’re the product. Cleveland has the highest concentration of small manufacturers in Ohio. Many of these companies have been making things the same way for generations. In the first of a two-part Exploradio, we look at the way things have been made, and what companies need to change in order to survive. We may be on the cusp of another industrial revolution, engineers call it Industry 4.0. Industry 1.0 was the steam engine.